Octane’s customisable applicant tracking system (ATS) is unlike many others on the market because it provides a functional flexibility developed over years of working with different clients and sectors. Using real life situations to inform the way our system works, our ATS platforms are easy to use, robust and scalable. We offer a totally branded experience for candidates but also for the hiring manager and our systems look as good at the backend as they do at the front. If you want something we don’t have, we’ll just build it. Take a look at some of our fantastic features. We have integrations with all the major job boards and we’re always adding to the list. We’ve built streamline integrations that allow candidates to move through an application process without having to duplicate any element of the form, and by doing this we’ve reduced drop-off. Hiring managers can post to their preferred boards from within the ATS, saving time and sanity. There is even an approval process for HQ on paid-for boards where your recruitment model is decentralised. If you’re looking for simple and intuitive you’re in the right place. 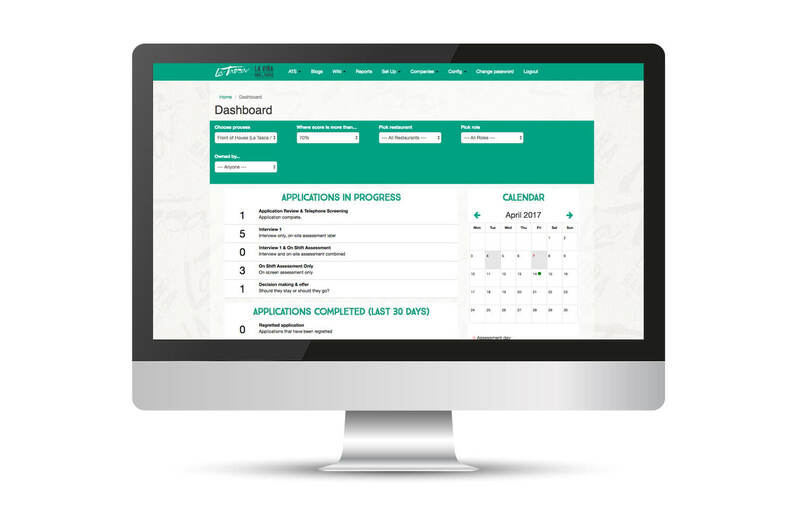 Hiring managers use the digital dashboard to search, filter, screen and manage candidates; from initial application to paperless onboarding and integration with your HR provider. The process is easy and quick to manage, with an overview of trends, issues or opportunities. The administrative interface is branded to your company’s look and feel – an important addition to creating a system that is truly yours. You can screen applicants using whatever scoring system you need, we’ll set it up to filter out the stronger candidates in the application process. It’s up to you how you weight certain actions or responses so you can find the candidates that are the best fit. We can integrate third party psychometric tests to provide an even clearer picture. We decided long ago that the one-size-fits-all approach doesn’t work. We help you scope out the number of roles and application processes you need and then build the process the way you want. Make it as long or as short as you like and as detailed or simple. We can even add video interviewing with our partner HireView to help you reduce time and save money. We can integrate our systems with others to make your life easier. If you have a psychometric testing provider, an existing payroll service or a HR system, then we will do all we can to facilitate an integration. As long as they want to play too, it’s usually no problem. Anything to make candidate management as easy and effective as possible. Creating vacancies couldn’t be easier whether you are in a centralised or decentralised model. Our ATS is permissioned so that members can have editing rights or not. Job descriptions are pre templated and vacancies are created at the click of a button. And because of our integration with some of the most well-used job boards, you can post direct to job boards from within the ATS itself. Developed with HR and recruitment teams in mind, we’ve worked hard to get the basics right, providing a clear view of applicants at every stage in the process. You can review candidates without moving from the page; allocate owners and roles; use reminders and reporting to keep everyone on schedule. We don’t want anyone slipping through the net. Specify the slots, select your dates and the system will do the rest, including automatically closing off dates that become full. Once your calendar is full you can add dates, times and candidates to your own calendar to ensure you never miss an interview. The candidate is given a range of dates and they simply select they’re slot, so no more back and fourth! Fast, efficient CV parsing is core to how our system manages CV data and it’s good for agencies and hiring managers. For agencies, bulk uploads with warnings for duplicate candidates will save you paying twice for the same person. And for hiring managers you can easily add a candidate to a vacancy by uploading their CV, the systems will extract the data and include it within the application. This function also provides amazing search capabilities. Manage your talent in a way that gives them a positive brand experience. We’re proud of our multi-level candidate search capability which means you can find the best local talent, keep them notified of opportunities and recommend them to other hiring managers. We don’t just produce mobile-optimised sites, we also provide an app, an essential tool for smartphone users. A hybrid app means that it’s not separate to your website or ATS – it’s part of it. The advantage of hybrid is that whenever you update your site, your app updates too. That’s something you don’t get with native. For better functionality and ease of use, choose hybrid. Your existing candidates are often your best ambassadors and advertisers. We’ve enabled social sharing to make sure all of your job roles go far and wide, organically reaching out to the talent you need. Candidates can search for roles that are closest to them, ensuring that they can quickly find the roles that are relevant to them and apply. If you need to monitor, measure and track your recruitment at every stage, our reports give managers total visibility of the recruitment process. Use them to help you spot changes in habits before they effect your recruitment volumes. Octane is very happy also to create bespoke reports for you if this is required. Onboarding is more than just finalising the recruitment process. It’s your opportunity to welcome and immerse your new employee into your brand. Our online onboarding makes the transition from candidate to fully fledged staff member as seamless as possible, it’s completely paperless and puts in place the checks and confirmations you need to rely on as a recruiting manager. Complete the recruitment process in the most efficient and effective manner. Sign documents, confirm identities and link all the data with your chosen HR provider. 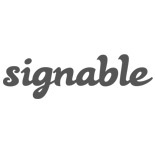 Our integration with Signable means that you have a leading secure signatory provider handling your documents. Candidates are able to complete their part on any device at any time and managers can track their status. Making life simple for candidates and the recruitment team. "I was first inspired to work alongside the Octane Team when I met the Directors Tierney and Nick. Their passion, creativity and determination for launching an engaging ATS system was perfect for our potential Fridays Family members. Since then, our ATS system has grown from strength to strength where each month something more interesting, engaging and enhancing is added. Our new team members constantly advise us that our Brand values were brought to life through our Team videos and application process via the website, our Managers love it too as its so simple, flexible and perfect for their needs. “We needed to move to an ATS that will support our significant growth plans by connecting us with the right candidates quickly and efficiently. 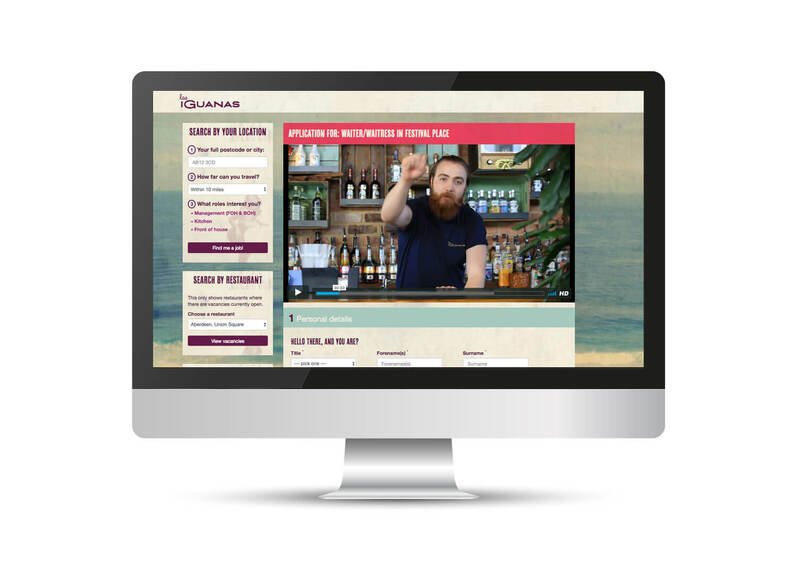 We needed it to be easy for candidates to apply, easy to for managers to process applications; we needed to be able to have the flexibility to do things ‘the Las Iguanas way’. Octane's ATS is intuitive, fast, flexible and cost effective. We’re pleased with the system and in Octane’s dedication and flexibility in making it just right for us”.